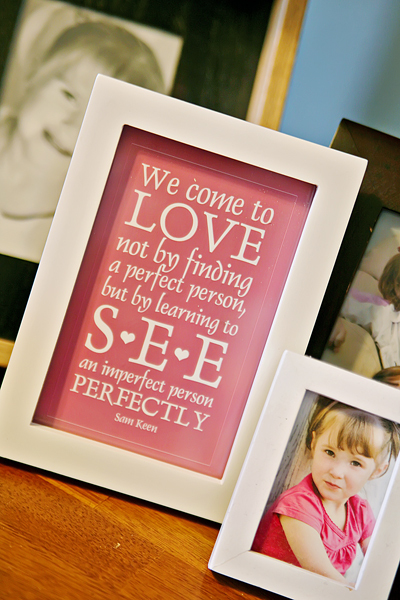 "Love" Printable – It Works For Bobbi! Published on January 19, 2011 March 23, 2017 by Bobbi-Jo G.
I decided I wanted a “valetine’s” theme printable to display on my shelf, but I wanted something that could also stay up all year, if I decided that’s what I want. I found this amazing quote that I instantly fell in love with, and I knew it would be perfect! I have created a pink and a red version in two sizes. Click on the images below to download. I’d love to hear from you if you download one – I love feedback! What a great quote and how sweet of you to make the downloads for us too!! I will be sure to download them when I get home tonight 🙂 hugs sweet friend! Great quote! I love your printables! Love the quote and thanks for sharing. 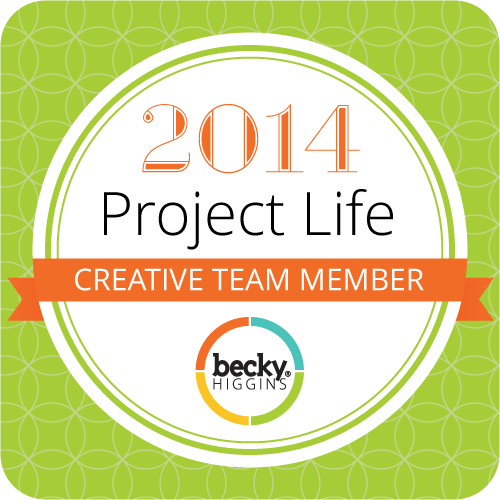 Followed the link from Frugal Life Project. I love this quote! It's so beautiful, it (almost) made me cry! I just read a secret on the Sisterhood of Secrets blog that had me kinda depressed, the woman is a military wife and is having a hard time with her husband's deployment. I read this and it just perked me right up! Thanks for sharing! 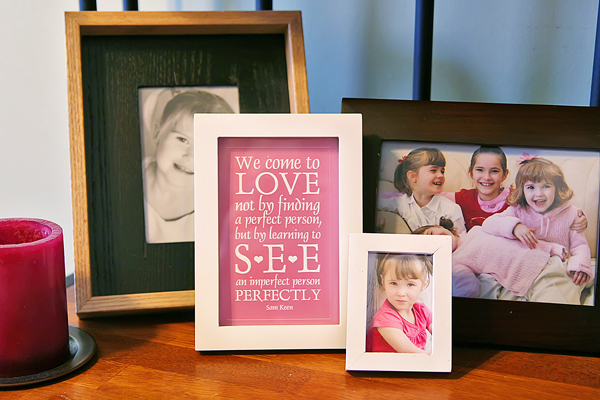 I love how you have arranged your daughters photos around the beautiful quote that you have framed. You always have the most wonderful printables. Thank you. These are so cute! I think I'll print one off…now! Bobbi, I've been browsing your site and pinning like crazy! Actually I've been looking for a way to freshen up my home decor without spending a lot. I think I found it. Thanks!